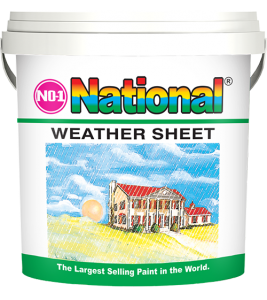 No-1 National Weather Sheet is an excellent quality emulsion which is specially formulated for use on all exterior surfaces. 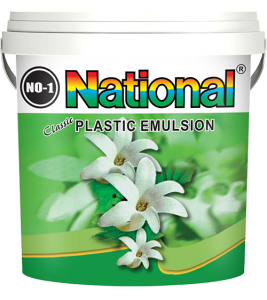 No-1 National Plastic Emulsion is a top quality emulsion with improved coverage and finish. 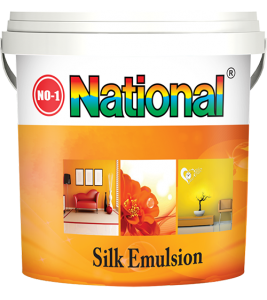 No 1 National Silk Emulsion is an economical emulsion with improved hiding power and a smooth finish. 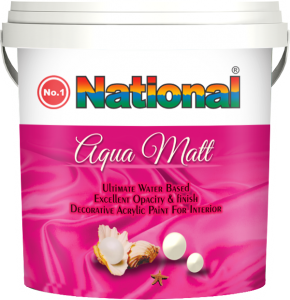 No 1 National Aqua Matt is a premium quality water-based paint specially designed to give a luxury smooth finish to interior masonry surfaces, brickworks and wallboards. 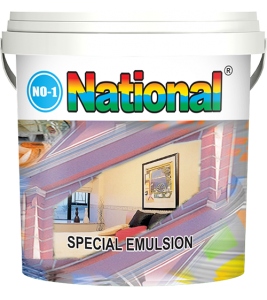 No 1 National Special emulsion is superior quality paint. 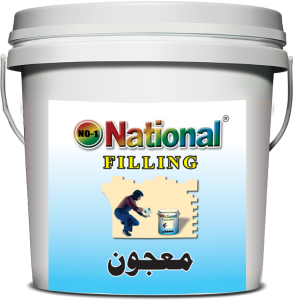 It is specially formulated. 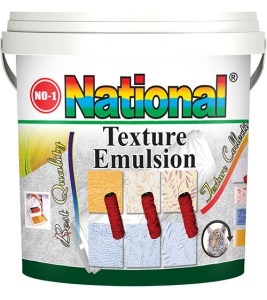 No 1 National Wall Putty is ideal for filling, cracks, holes and gaps in plaster, wood and other building material. 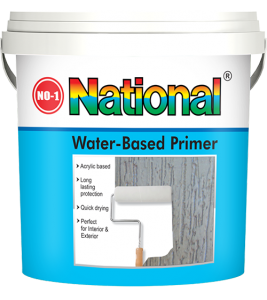 No 1 National Water Based Primer is a water-based wall sealer formulated to provide maximum protection against alkali and moisture,enhancing the performance of top coat. 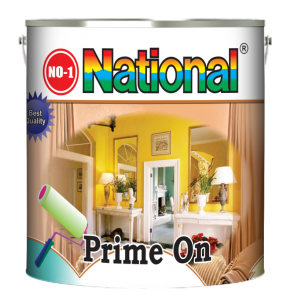 No-1 National Prime On is a high quality 100% acrylic based primer for all types of exterior masonry surface such as brick, plaster and and cement rendering. 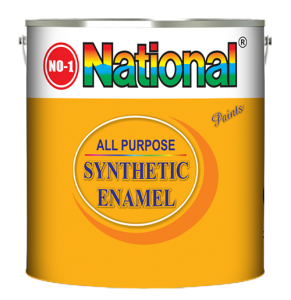 No 1 National Synthetic Enamel is designed for use on interior and exterior wood and metal surface. 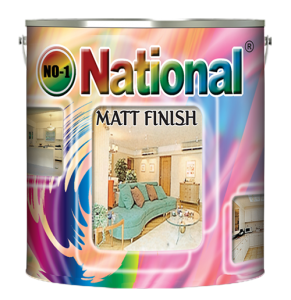 No 1 National Matt Finish is designed for use on interior and exterior wood and metal surface. 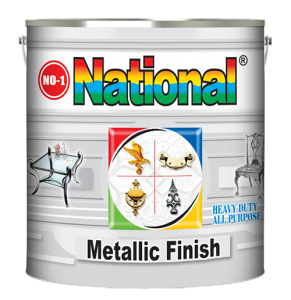 No 1 National Metallic Finish is an excellent quality paint suitable for use on all types of wood & metal surfaces, It gives smooth and lustrous finish. 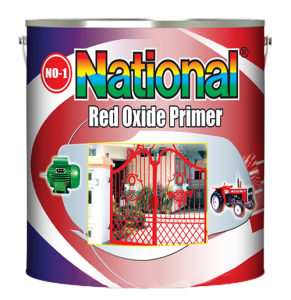 No 1 National red oxide primer is an excellent quality primer which protects the iron and steel from rust. 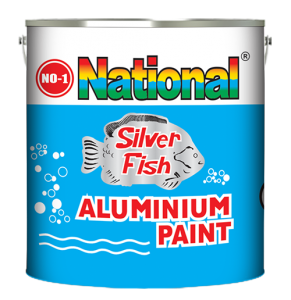 No 1 National Aluminium Paint is a silver paint with a high metallic luster which protects the surface from corrosion, discolorations and effects of mild heat. 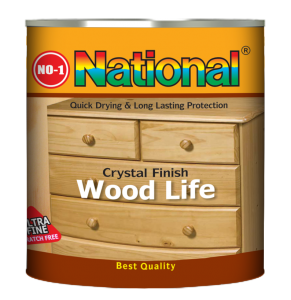 No 1 National Wood Life has a high gloss finish and has excellent abrasion resistance. 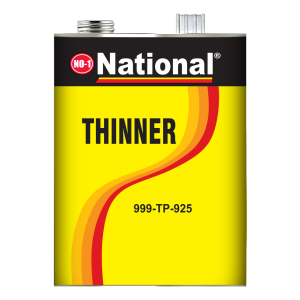 No 1 National Wood Life is a solvent-based varnish suitable for use on all type of new or previously treated wood and metal. 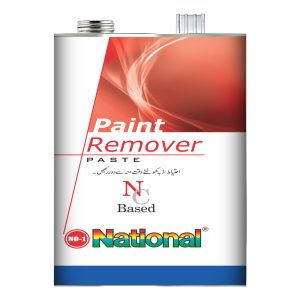 No-1 National Paint Remover is a High Quality Paint Remover which is use for removing synthetic enamel paint from the surface.